Sometimes a space just grabs you. Which is exactly what this master bedroom of a Venice Beach home designed by Vanessa De Vargas did to me. The mix of primary colors and bold patterns combined with modern metalic table lamps and classic Asian side tables is out of this world. 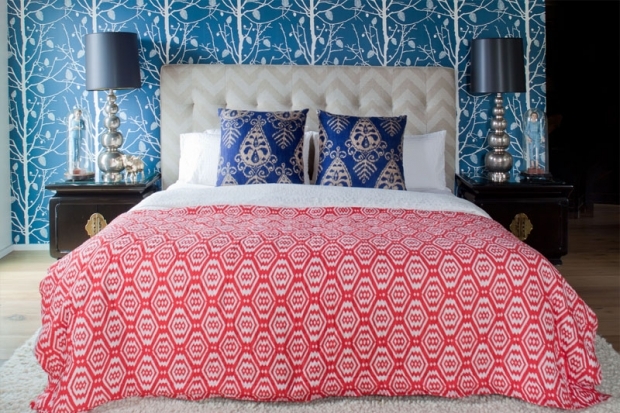 Design sources: wallpaper by Ferm Living , bedding by Jon Robshaw , custom headboard by Turquoise.